It has been a while since I've done with of these (let's file this under reasons why I'm useless at keeping up features), but since I saw Snow White and the Huntsman this week, I thought I may as well give it the Dear Hollywood treatment. Especially since I gave the same treatment to the other Snow White movie Mirror Mirror a while back. Just the preface this post: in all honesty, I think I may have enjoyed Mirror Mirror's silly colourful fun a little bit more. 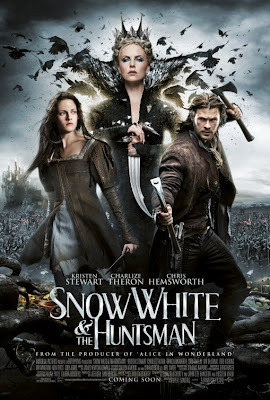 Perhaps I should have a Snow White night to look at them both equally, but I think that Lily Collins' "I don't need a man" Snow was better than Kristen Stewart's blank-faced "let's just get Chris Hemsworth to do the work" Snow. Mind you, Charlize Theron was on FIRE (literally). You know what seems pretty 'in' at the moment? Making things darker than they actually are. You take something that isn't really that dark, take all of the shits and giggles out of it, and make it really really really dark and depressing because it is so close to real life. However, with the comic book adaptation section gone, what else could I possibly make dark? I toyed with the idea of making a dark Adam Sandler movie, but then I saw That's My Boy. Please help. Oh, you have no idea how much I get this kind of letter! Everyone wants to try and do dark things these days. Unsurprisingly, Adam Sandler wrote to me wanting some advice on how to do things a little differently. I sent him right on the trail to offending anyone and everyone. Mind you, all he'd need to do is show up on screen for something to be dark and depressing. Anyway, there are many areas in which you can take this whole dark thing. Take it somewhere you least expect it. Like...jeez, everything is getting pretty dark these days. I mean, they tried to kill the toys in Toy Story 3! Mind you, that movie did get an Oscar nomination. Hmmmm. Well, with animated kids films getting dark and somewhat realistic, you may as well take the fun out of another kids thing: fairytales. Yes, that's a good idea. Let me know when you've figured out what fairytale you want to dim the lights on. Hmmmmm, fairytales. You know what is the best thing about fairytales? They were already pretty dark to begin with. We just didn't realise it when we were kids. Anyway, wanna know a cool story? After you suggested that I look into the dark side of fairytales, I thought to myself "Mirror mirror, on the wall, who's the darkest fairytale of them all?" HA! You see what I did there! Needless to say, one thing led to another and I came up with Snow White. Although, now I'm at a loss. A fairytale with seven dwarves intended for comedic effect will be difficult to darken. Please help. Oh no, this is no problem. There's an evil queen, so just make her really evil. Like, so evil that we think that she literally has a screw loose somewhere. Make Snow White a prison who escapes, so we can have some Shawshank Redemption thrown in there, just without all the hope going on, or Morgan Freeman's narration. You can't have everything. For the entire movie, just make Snow White journey through the forest. It seemed to work so well in Season of the Witch. Unfortunately, you can't have Nicolas Cage either. 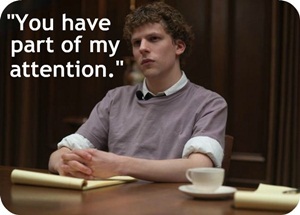 So you'll just have to settle on another generally emotionless actor. I've got it! Kristen Stewart! She is totes in right now. As long as you have any cast member from Twilight in your film, then you're okay on the financial side of things. Plus, you needn't worry about the darkness factor any longer...Kristen Stewart has got you covered. Just don't let her put too much emotion in her face. Then you're stuffed. Oh, and if you can throw someone from The Avengers in there, you're sorted financially. How about Chris Hemsworth as the Huntsman? Instead of a hammer, just give him an axe to throw around, and people won't know the difference. And what do you do about the dwarves? Just rough them up a bit. That'll do fine. -Gollum fairies that just come out of birds! -A random forest that makes Kristen Stewart act drunk! -A random white cow with branches coming out of its head which "gives Snow White its blessing"! -A very convenient white horse just lying on the beach so Snow White can ride away! -The ugliest bowl cut ever put on the Evil Queen's brother! Yeah I thought Mirror Mirror was better too. What annoyed me most about SWATH was the wasted potential. Like the whole dark fairytale thing could have worked if they had tried. I actually really liked Hemsworth and Theron in this. Yeah - they didn't try that hard. I wasn't really sure of what they were trying to achieve. I liked them a lot too. But Theron's character kind of pissed me off for all of the wrong reasons. She was a bit OTT sometimes. This was very funny, but I don't think it's fair to compare Kristin Stewart to Nicholas Cage. Keep more of these coming. They are extremely well written. Haha, it was an extreme comparison...Kristen isn't crazy enough yet :P Thanks! Haha. Yeah, I liked Mirror Mirror more too. Yay, I'm not in the minority! 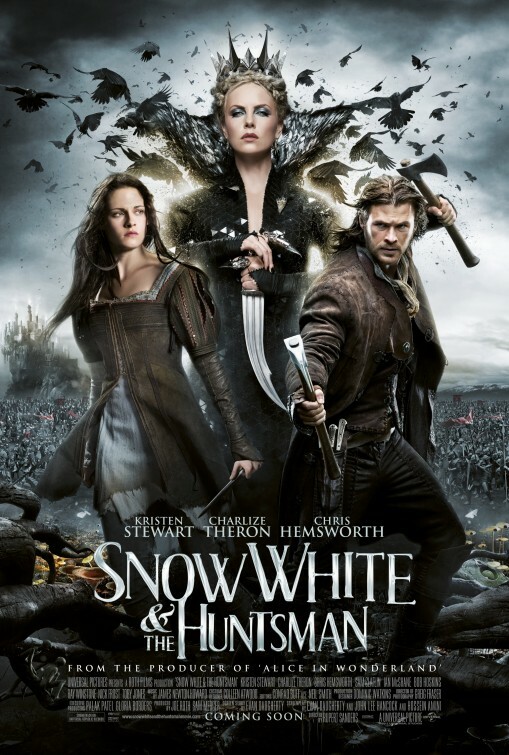 Haven't seen Mirror Mirror, but i found SWATH alright. Yeah, it is an "alright" movie. Nothing special, I'm afraid. Wow I watched this last weekend and it was mediocre I had to catch myself several times from ruining my sister's viewing experience. I think Stewart is a talented actress especially in indie movies, but she was forgettable here, though I blame film's bad script. Overall I enjoyed it more than Mirror Mirror, mostly because gorgeous costumes and great work from Charlize. Stewart is quite good in indie films, but she appears so disinterested in this film. And in Twilight. Which is a bit of a shame. i think this is better than mirror mirror - or maybe i'm just not into something cute-sy? Restores some of the fable's pre-Disney grit and gristle and strips decades of candy coating off its grown-up edge.